Slice onion and separate into rings. Whisk together the egg and milk until combined. Set aside. In a separate bowl, stir together the flour, salt, cayenne, pepper, garlic powder, and seasoning salt. Set aside. In a shallow dish or pin plate, put the panko crumbs in. Preheat about 1.5 inches of oil over medium heat. 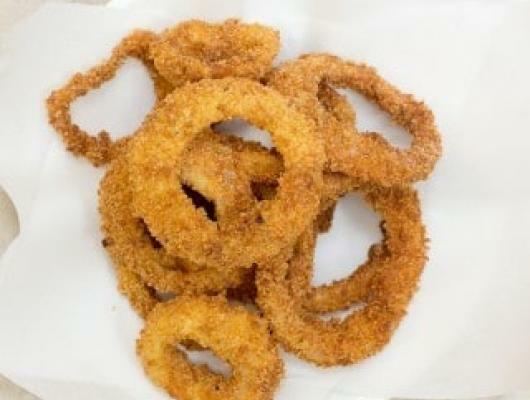 While the oil is preheating, start breading your onion rings. Do this by coating in flour, then the egg wash, then back in the flour, back in the egg wash, and finally in the panko. Set on a tray in a single layer, and continue breading until they are all evenly coated. 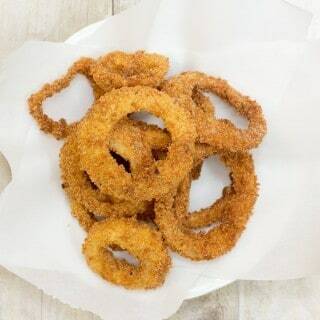 Fry a few rings at a time until golden brown. It should take about 1.5 - 2 minutes of frying. More or less, and adjust your oil heat accordingly. Let cool on paper towels, and serve with ranch dipping sauce. Panko Fried Onion Rings takes one of my favorite appetizers and makes it something you can do right at home!